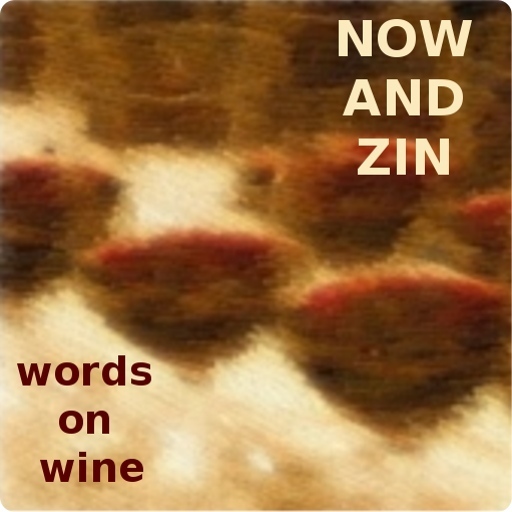 Now And Zin Wine: PRINCESS BRIDE WINE? AS YOU WISH! In my position as author of Blood Of The Vines - and the wine and movie pairing guru for Trailers From Hell- I try to keep up with what's going on where the film and wine worlds collide. That facet of the job doesn't keep me extremely busy, but I try to make it look like I'm swamped. Across my digital desk comes news from the Alamo Drafthouse. In case you are not familiar with them, the Alamo Drafthouse screens movies you can watch while enjoying a beer and even dinner, if you like. Now you can add a special wine to the list of options. Alamo Drafthouse has commissioned a pair of wines to celebrate the 25th anniversary of the film, "The Princess Bride." The "Bottle of Wits" line - named after the scene in the movie known as the "battle of wits" - offers two varieties to choose from. "Inconceivable Cab" and "As You Wish White" will be available for purchase at all Alamo Drafthouse locations beginning February 14, 2012. The wines will cost $7 per glass and $28 per bottle. 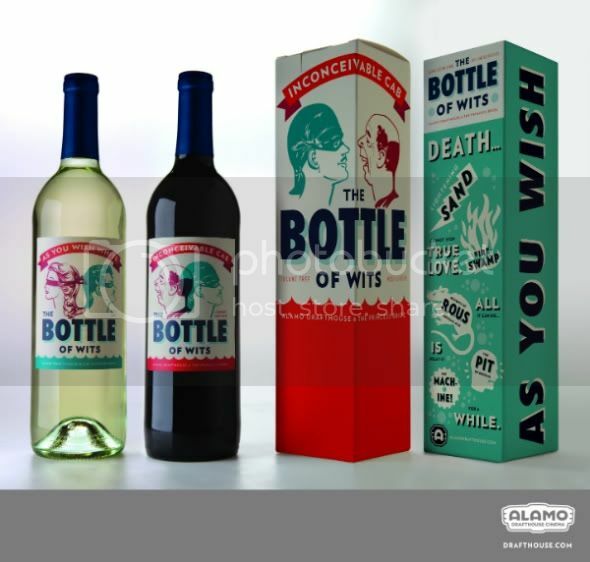 Their blog states that both wines will "most likely be iocane free," although governmental regulations will prevent that bit of inside humor from appearing on the label. The "Inconceivable Cab" is a California Cabernet Sauvignon, while the "As You Wish White" is a California white blend. That's not a lot go on in wine tasting circles - I couldn't find a tech sheet on the wines - but maybe the movie-goers will just want to concentrate on how they taste, rather than why they taste that way. "The Princess Bride" will be screened as part of the Valentine's Day celebration and a Quote-Along Feast features a five-course dinner - paired with the wines, of course. The Alamo Drafthouse operates theaters in Texas (Austin, Houston and San Antonio), Colorado, Virginia and Washington D.C.